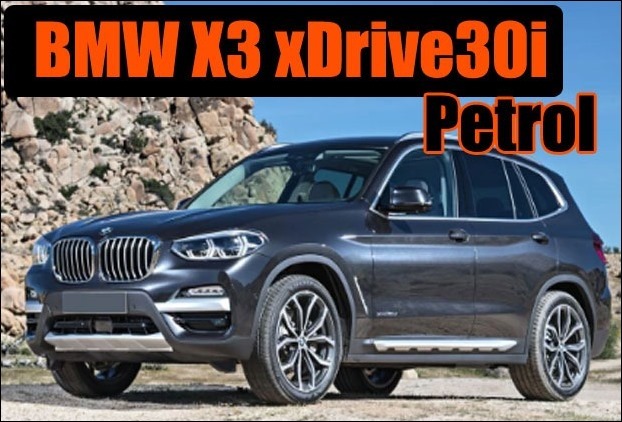 Finally , the awaited , BMW X3 xDrive30i SUV’s was launched in petrol engine in India.It has been unveiled across BMW dealerships for booking in the country at ex Showroom price of Rs 56.90 lakhs. Like its diesel version , the assembly of petrol engine BMW X3 xDrive30i will be carried out from its Chennai plant. 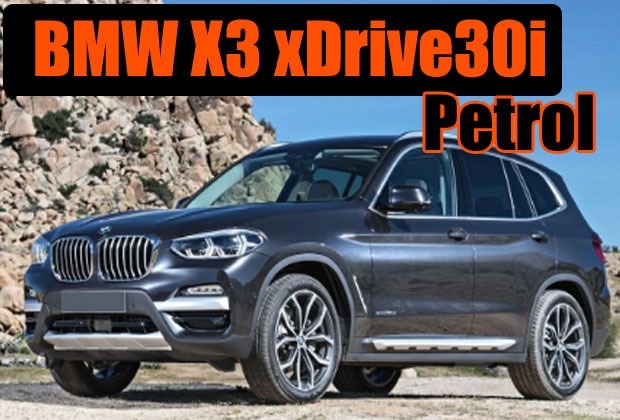 BMW X3 2018 diesel version was launched in India after it was unveiled in the Auto Expo this year. The X3 Suv from BMW uses twin power technology which delivers nice performance due to a refined engine. The petrol BMW X3 xDrive30i’s design is like its diesel counterpart.There is heavy use of chrome on radiator grill. 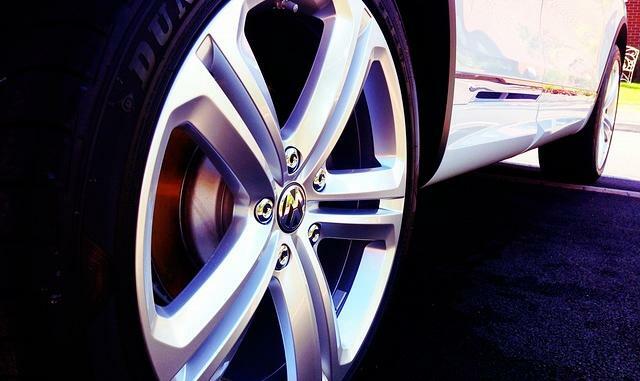 The car sports 19inch alloy wheels which looks beautiful.The interior of the suv has a luxurious outlook. The car accompanies 6th Gen touch screen infotainment system.It works on a voice control !The audio system has been given Harman Cardan 600 watt audio system. In terms of safety it comes with automatic diffrential brakes, dynamic traction control and adaptive suspension. The engine is a 2L twin turbo engine ((4 cylinder) that outputs 250BHP and 350NM torque. The engine of BMW X3 xDrive30i comes with 8-speed automatic steptronic sport transmission with provision of paddle shifting with steering. The car can accelerate from 0-100 kmph in just 6.3S.